Junior’s is now back on 5th avenue near the corner of 5th and Highland (Dairy Family convenience store lot) and they appear to have settled down in that location. 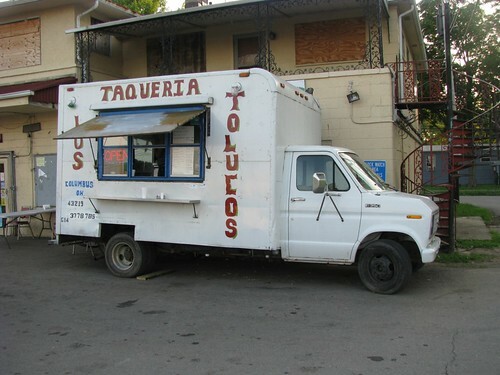 The truck is a new venture for Carlos the friendly and voluble owner. 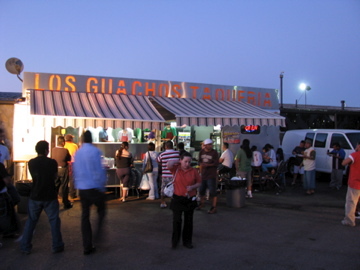 For the time being, Carlos is providing Victorian Village with a menu of taco truck standards – tacos, burritos, tortas, and the like – as well as a few American options such as hot dogs and bratwurst. 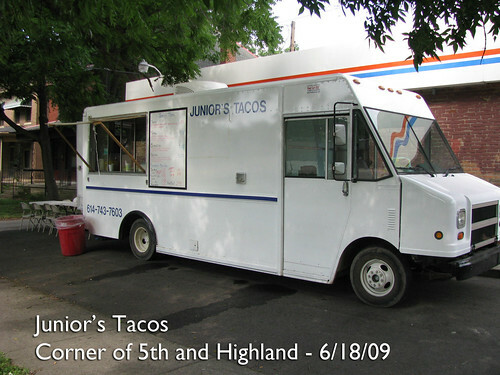 We’ve not yet had the opportunity to taste Junior’s Taco’s non-taco wares, so our experience is limited to a plate of tacos with four different meats. We enjoyed the carne asada and the chorizo tacos. Chicken – eh, not so much. It’s hard to judge much of anything from a single sampling, but our first overall impression was: ‘somewhere mid-pack’. That may well change. Carlos’s operation is all of a month old, and he was at pains to emphasize how he’s still working the bugs out. He also spoke of ambitious plans, so we’ll be keeping track of him and keeping you up-to-date on his location and progress. 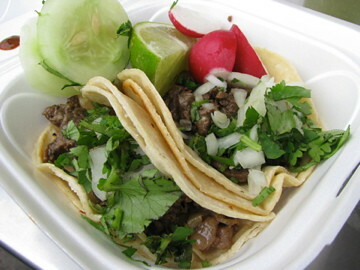 Carlos is keen to cater to his customers and is more accommodating than most taco trucks of special orders. 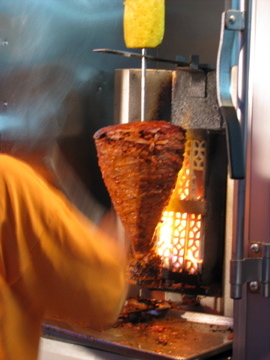 He has been experimenting with some vegetarian dishes and we hear that the vegetarian fajita burrito is worth trying. We went back to Junior’s on July 7th enticed by the promise of tamales. Carlos did not disappoint and there were tamales all-round. They were a big hit with our group and we hope that they will soon be a regular menu item. At $1.25 each you can afford to eat a few, which is just what you will want to do. The 8th Taste is owned by a Colombian couple who have lived in Columbus for 8 + years.. They do serve tacos but the food offered is a mixture of Colombian dishes and western targeted items. I wouldn’t go out of my way for the tacos which are a choice of beef or chicken and served in a platter and (to us at least) American style. 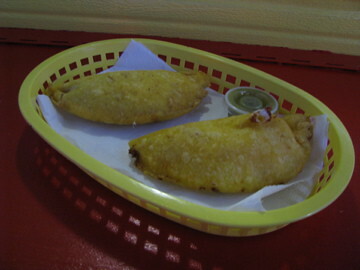 However, I would go a long way for some of their empanadas. These were filled with a tasty mix of chicken, potato and vegetables and were reminiscent of an Indian samosa. Straight from the fryer, they were hot and crispy and irresistible. Also popular with our tasting team were the arepas. 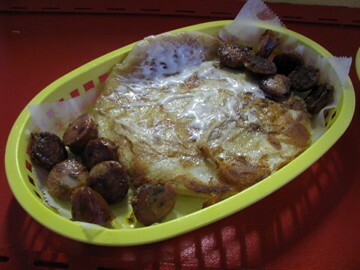 I hadn’t had them anywhere else in Columbus other than El Arepazo the popular downtown Venezuelan restaurant. We ordered two, a cheese and a beef arepa and opinions varied as to the favorite. Both were good with the hot sauce, which looked a lot more lethal than it actually was. Drinks wise the truck has a range of pepsi products and Jarritos mexican sodas. 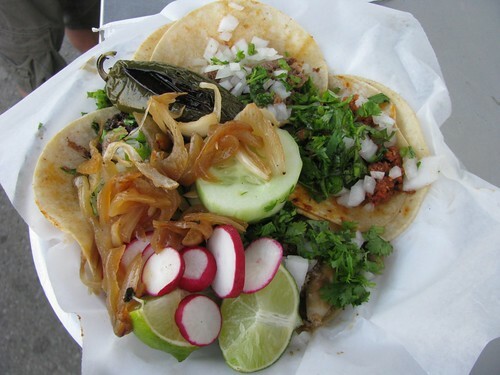 Located at a busy street 8th Taste isn’t the kind of truck you linger at while you enjoy your food. Definitely more suited to take out or eat and run. 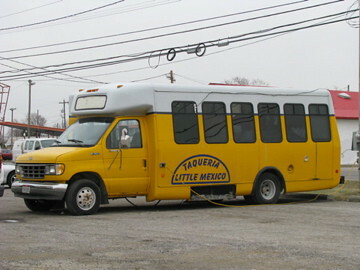 Thanks to Joe A for the tip off about this taco truck.